We just survived Halloween and all that candy! What did you do with your kids' candy? I hid mine from my kids so they wouldn't go overboard. Why? Because I want to keep their teeth healthy! I give them a couple of pieces daily and that's it! I usually do that every year, and we end up having candy until the following Easter! This year we didn't get as much as previous years, but you know it's not breaking my heart! Statistics show that kids miss 51 million school years each year due to dental-related illnesses, and pediatric dental disease is the #1 chronic childhood illness. Did you know that you should rinse with a therapeutic mouthwash for 30 seconds daily? We're loving the new Listerine Zero - healthy rinsing without the burn! FINALLY! We've been participating in the October Oral Care Challenge created by Listerine and Reach. In addition to ensuring that I take care of my own teeth, I've been ensuring that my children have been brushing their teeth, flossing, and rinsing their teeth every day, twice a day. We usually brush our teeth twice a day any way, so this challenge wasn't that much of a change from normal daily life, but we all know that sometimes life gets in the way and some things get "forgotten". One thing that's great with any routine you start, once you commit to doing whatever you set out to do originally, you get into the habit and it becomes less of a chore and is part of your daily routine. I'm hoping that the next trip we take to the dentist yields zero cavities and healthy gums! 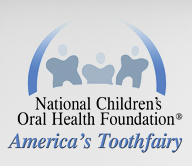 Also, the makers of Listerine and Reach have also teamed up with America's Toothfairy to launch "Trick or Treat for America's Toothfairy," a campaign to raise awareness of pediatric dental disease and help provide life changing care to underserved children. You can visit www.AmericasToothfairy.org to learn more. Disclaimer: I wrote this review while participating in a blog campaign by Mom Central on behalf of LISTERINE and REACH and received products to take the Oral Care Challenge. Mom Central also sent me a Global Giving gift card to thank me for taking the time to participate.